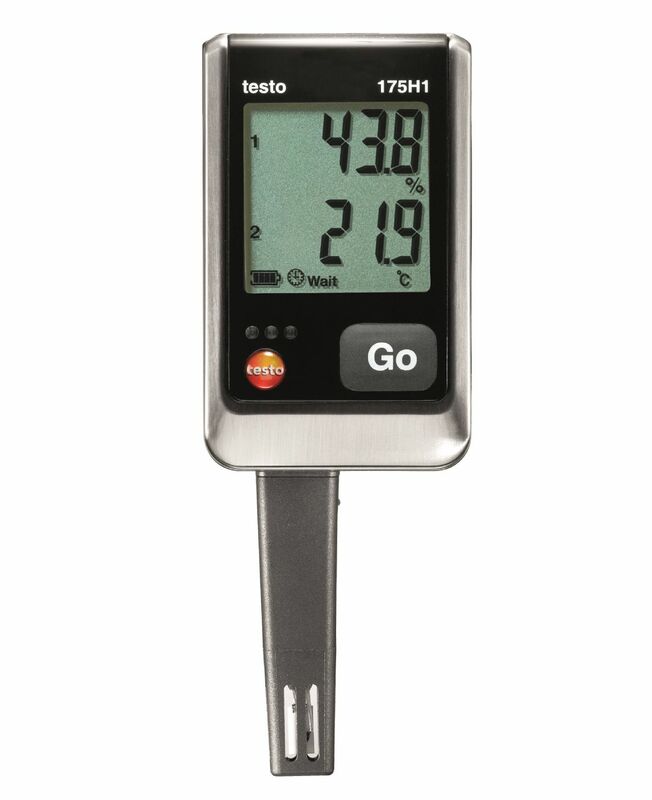 Frying cooking oil is not healthy beyond a certain level of use. 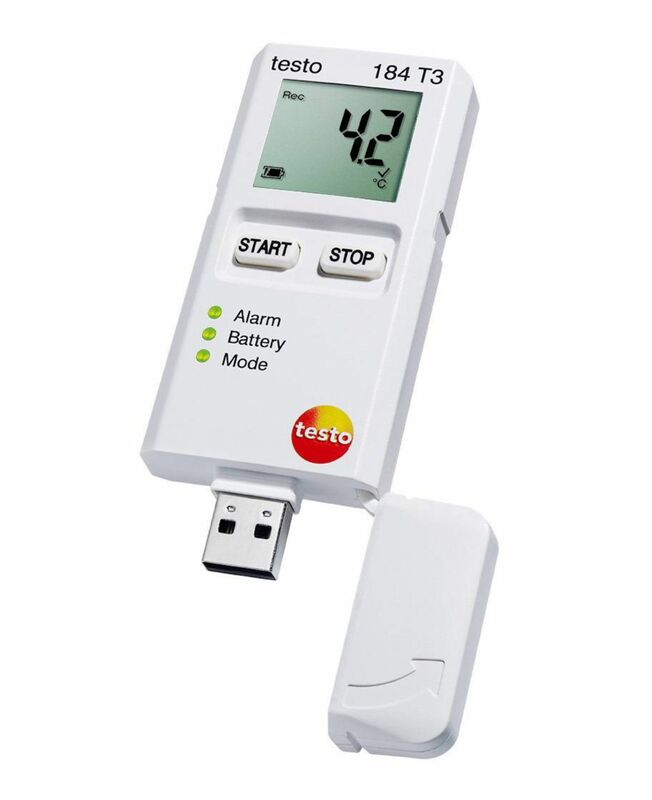 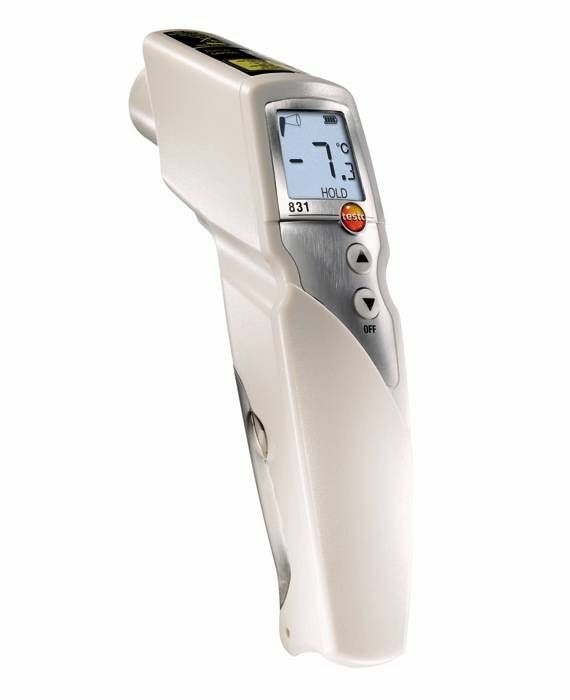 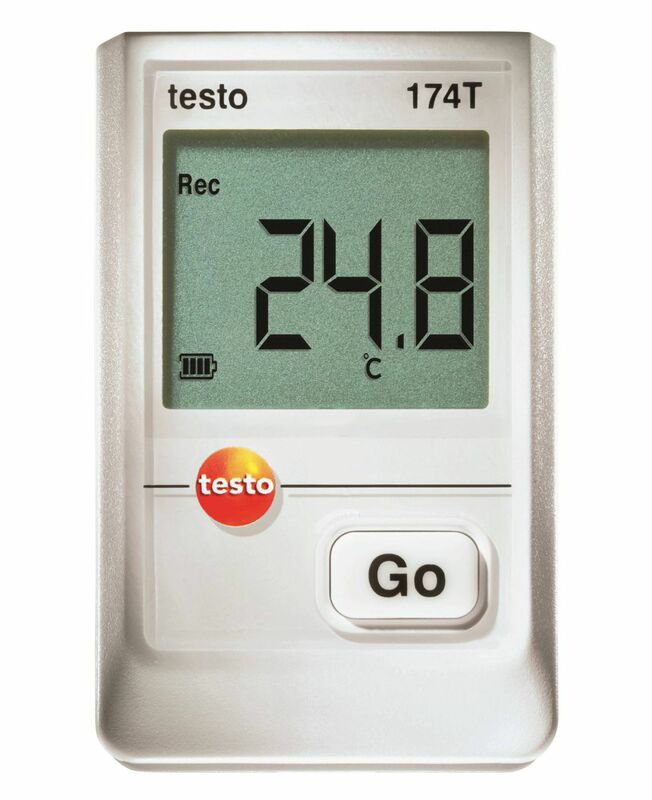 Chain restaurateurs with testo 270 digital cooking oil tester only need to change the cooking oil once critical TPM (Total Polar Material)/ TPC (Total Polar Compound) values are reached. 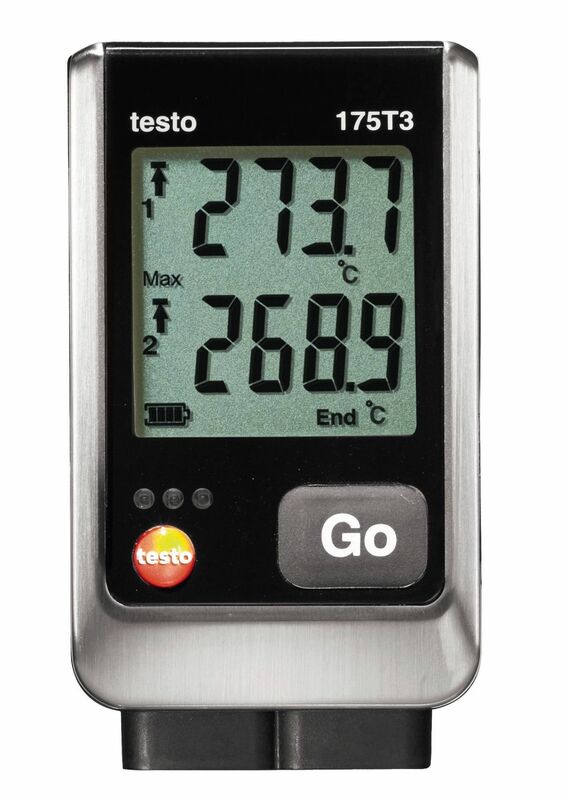 This not only ensures healthy cooking oil for their customers but also benefits them from cost savings. 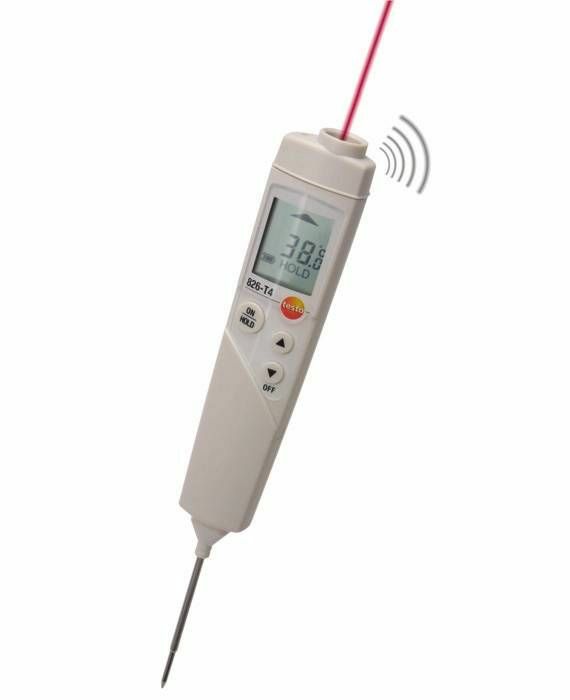 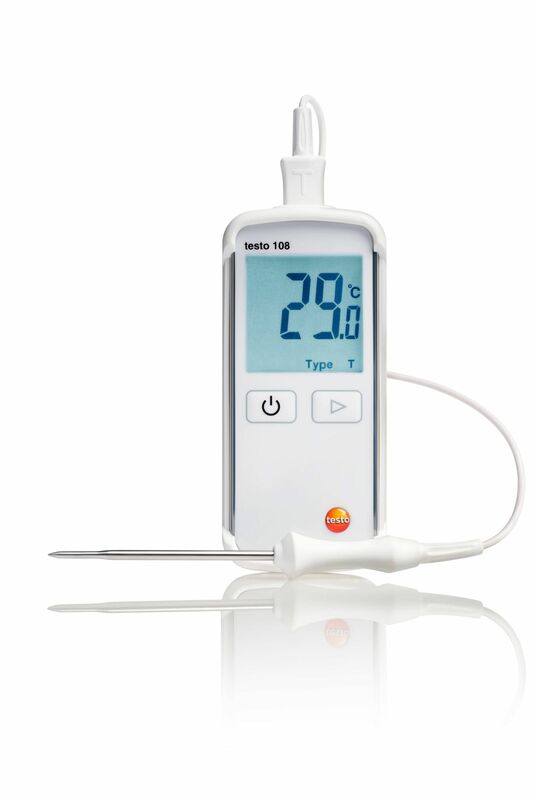 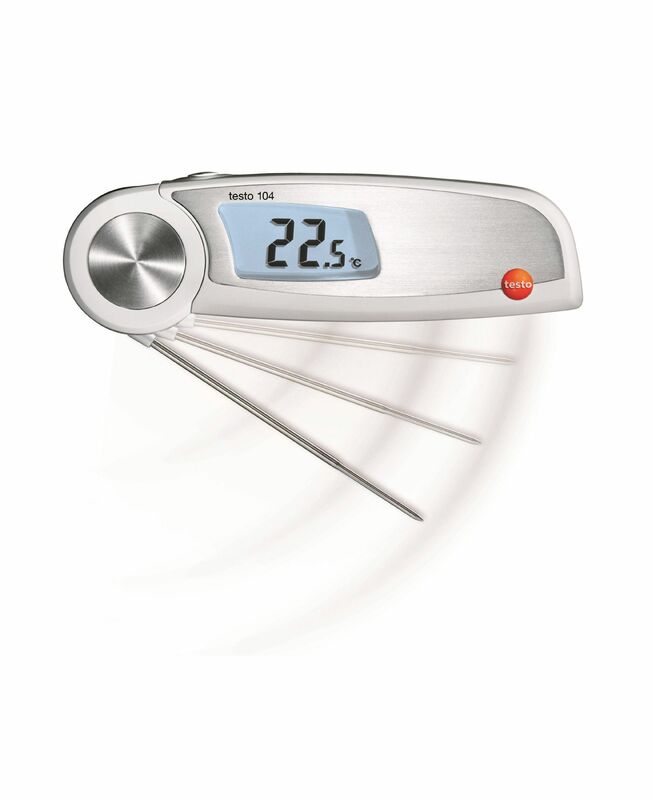 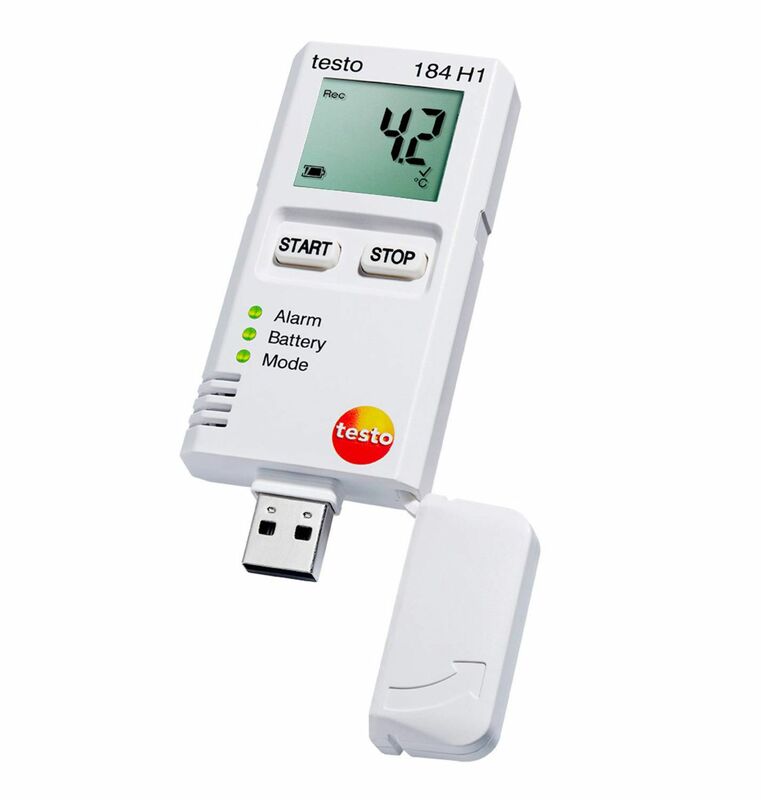 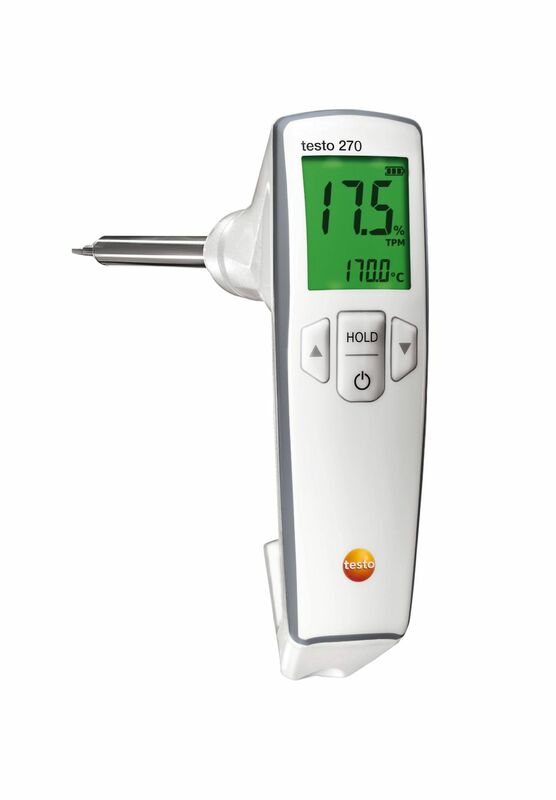 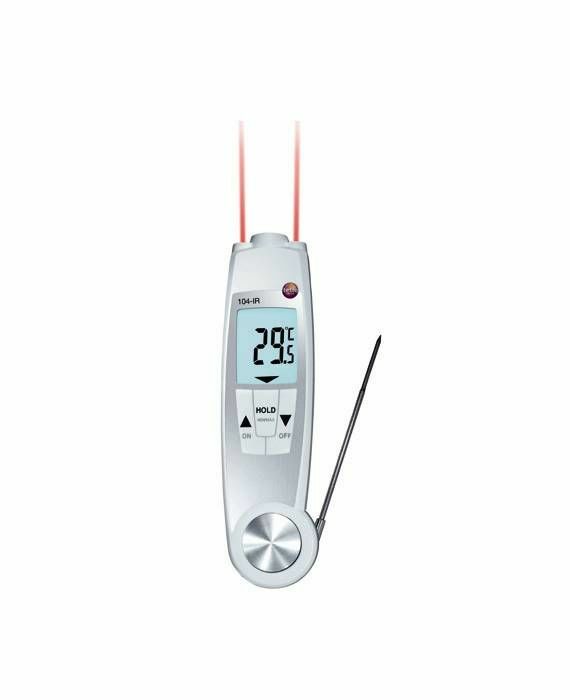 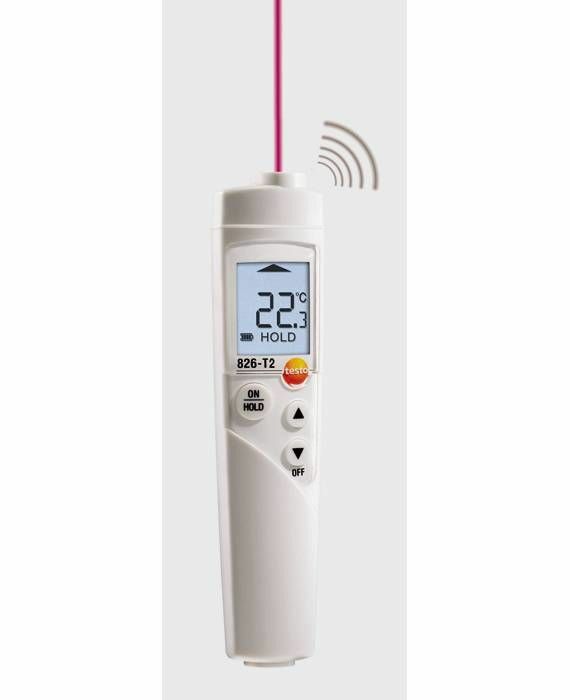 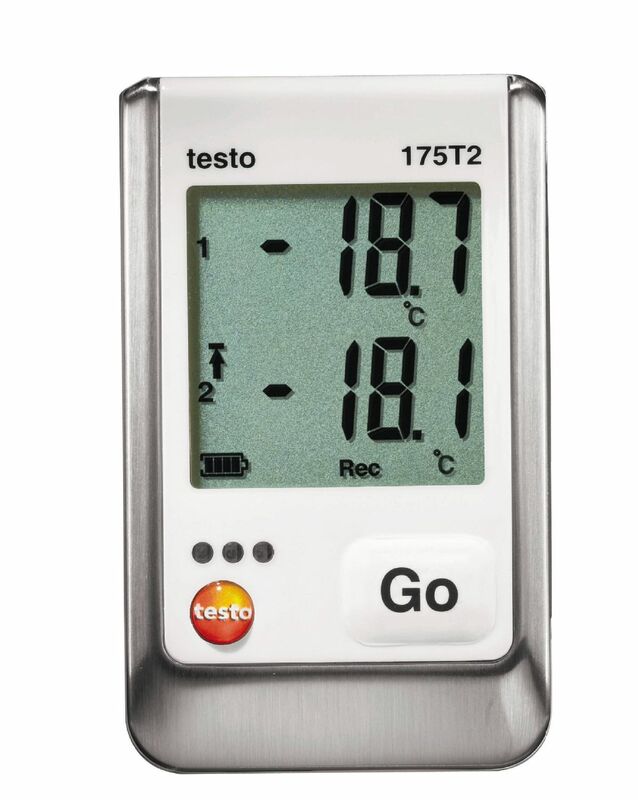 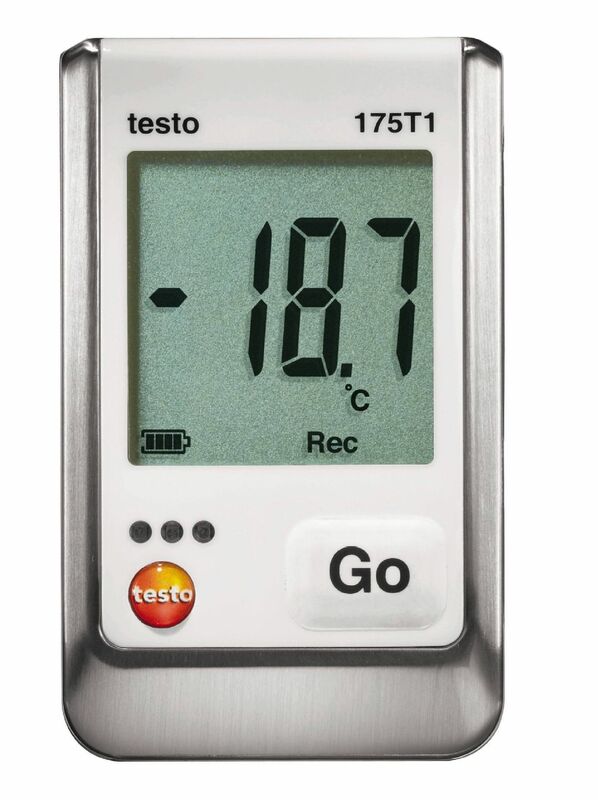 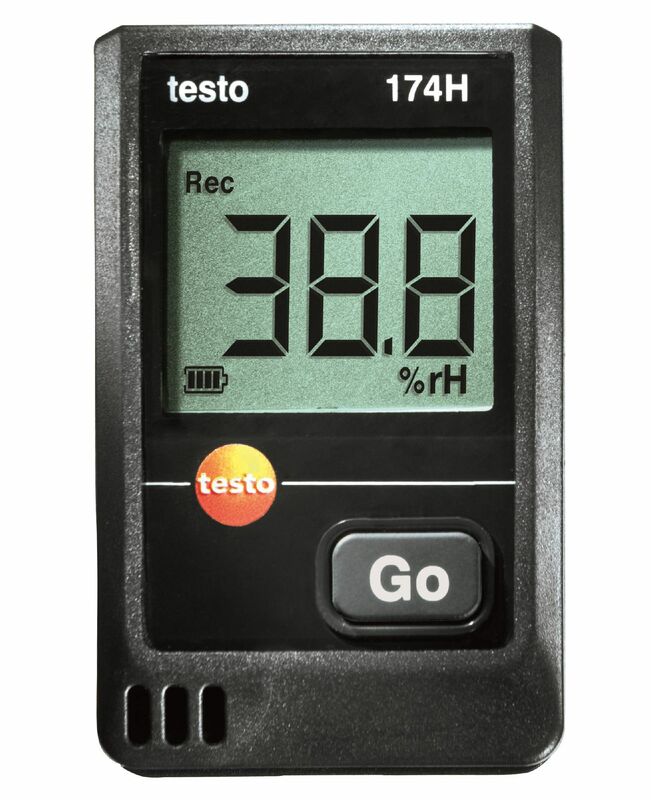 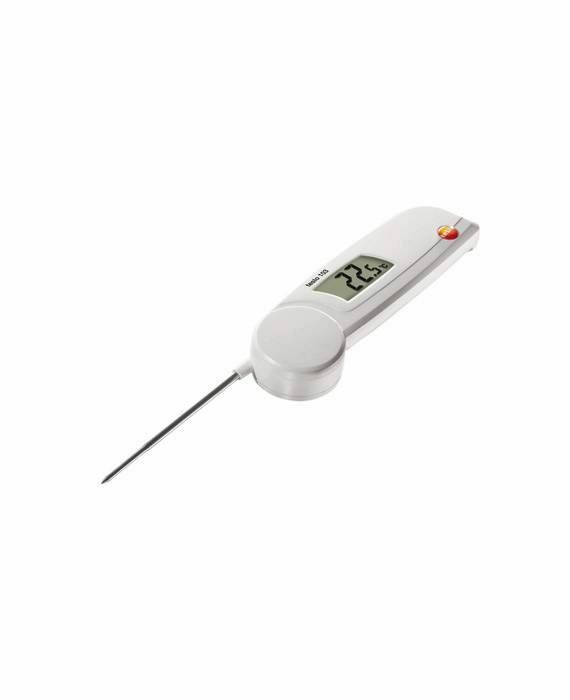 The testo 105, a rugged and reliable food thermometer is used in the food industry to measure the core temperature of semi-solid media like meat and cheese, for example.